Phoenix House Remodeling: Are You Ruining Your Carpeting? 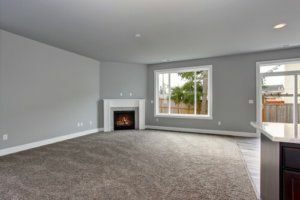 Home > Blog > Whole Home Remodeling > Phoenix House Remodeling: Are You Ruining Your Carpeting? We all know that, like most textiles, carpets can eventually show telltale signs of wear and tear. In some cases, the wear can create an illusion of staining, which can cause frustration for homeowners. The key is to understand that even when a carpet has been cleaned, it doesn’t mean that the traffic areas will end up appearing 100 percent clean and new. Why? The main problem: high-traffic areas – or those places where people are constantly walking or traveling across. While these traffic areas are simply an inevitable part of any carpet’s lifespan, did you know the process that leads to it can actually be slowed down? One easy way to prevent accelerated wear and tear is to rearrange the furniture in the rooms with carpet and high traffic zones. By doing this, you can “hide” old traffic areas. By occasionally switching the flow of traffic you ultimately disrupt continued wear in one area. Some Phoenix home remodeling pros suggest adding area rugs to places where heavy traffic zones are unavoidable through rearranging furniture. Your carpeting may not require the regular cleaning that other types of flooring demand, but it’s important to have it professionally cleaned at least once every one to two years – even if you constantly vacuum. Professional carpet cleaning can actually extend the life of carpeting. It also can lead to better air quality in your home, ultimately reducing allergy issues. Ideally, carpeting should be professionally cleaned. However, many homeowners alternate between DIY and professional cleaning. While the DIY approach is far more affordable, it doesn’t always measure-up to professional carpet cleaning when it comes to quality and thoroughness. Over-shampooing. This can occur when either too much shampoo is used, or the carpet is not adequately rinsed. And if over-shampooing occurs numerous times, the soapy residue can be impossible to clean out. Over-wetting. Over-wetting can occur when too much water soaks into the bottom of the carpet, causing backing materials to bleed through and discolor the carpet. Additionally, some carpets will even shrink, literally tearing themselves up from the floor. Another red flag: if the carpet’s backing becomes too saturated, there is the additional risk of mold and mildew – which can be major health hazards. If you need your home’s carpets cleaned, you may want to contact a professional service to take care of the job. Not only is this method much easier, it can save you the risk of having to purchase all new carpet. However, if cleaning your carpeting isn’t doing the trick, it might be time to consider replacing them. At Republic West Remodeling, we offer a wide range of Phoenix home remodeling services. We believe it’s important to choose the right contractor because selecting the wrong one can lead to wasting precious time and money. Contact us today for details.